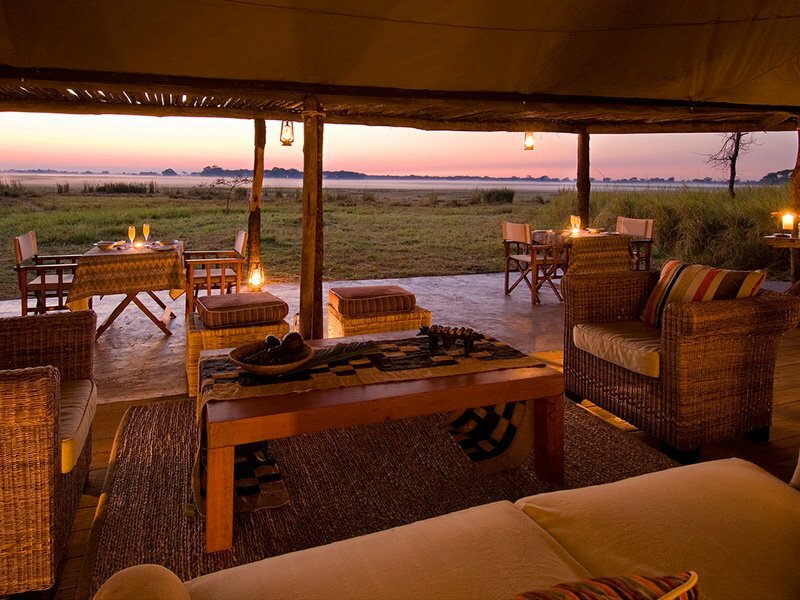 Kafue & Victoria Falls is an six night, three camp flying safari that commences from Lusaka with a light aircraft flight into the Kafue National Park for four nights on safari in the remote and beautiful Busanga Plains region in western Zambia, You’ll stay at two camps (Shumba Camp and Busanga Bush Camp) in divergent but game rich parts of the park, before flying by scheduled light aircraft into Livingstone, home to the world famous Victoria Falls and staying at Toka Leya, on the banks of the Zambezi river some 15kms upstream of the Falls. 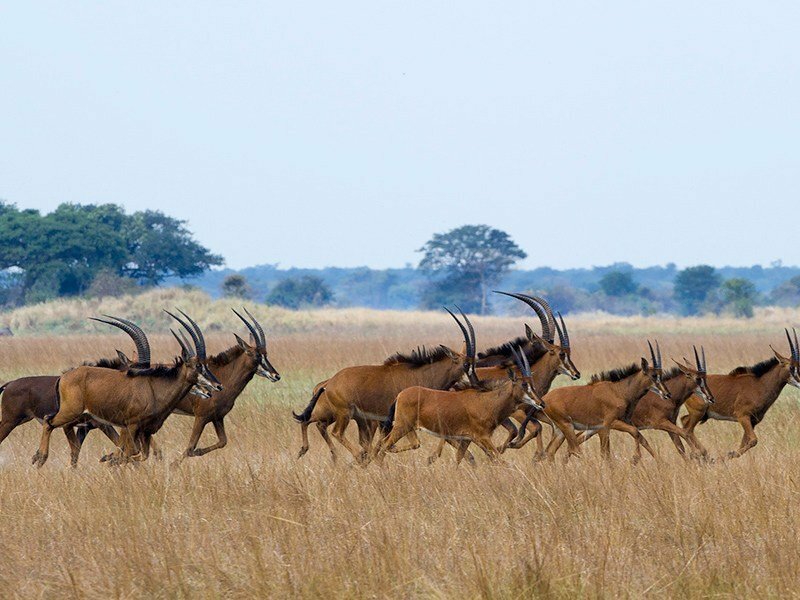 The Busanga Plains, offer a habitat not vastly dissimilar to the Okavango Delta in Botswana and teem with wildlife, both mammalian and birds. 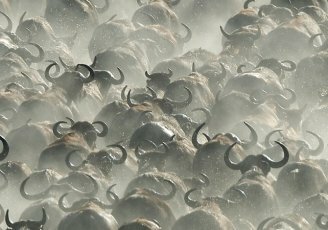 Safaris can be experienced in 4×4 safari vehicles, on foot and, if you stay three nights, in an early morning balloon flight. 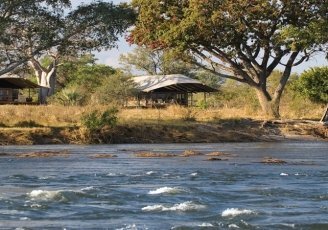 Toka Leya is situated in the Mosi-oa-Tunya National Park home to the only herd of rhinos in the country, which are naturally highly prized and protected. 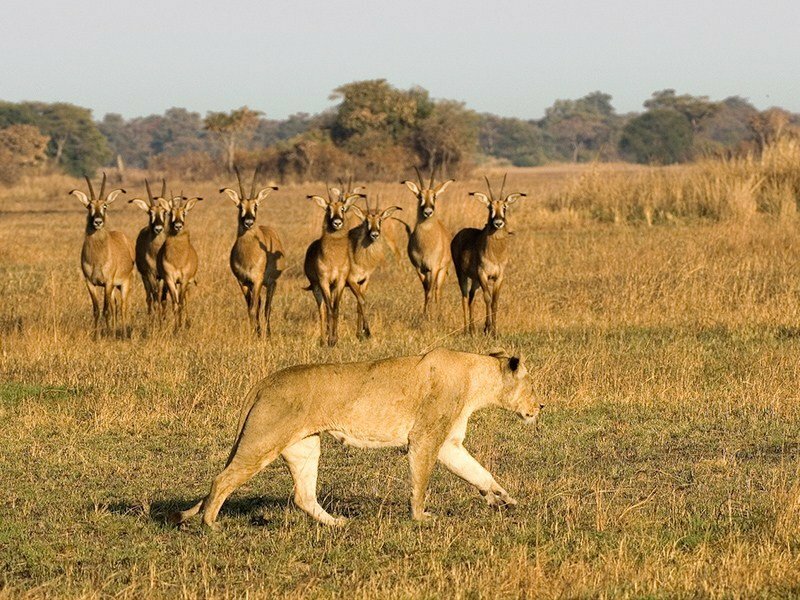 Wildlife around Toka Leya is excellent with resident pods of hippo and plains game. On a boating safari you’ll experience a wide variety of birds from African Skimmers to Fish Eagles. Met on arrival into Lusaka with a light aircraft transfer to Kafue National Park for a two night stay at Busanga Bush Camp. 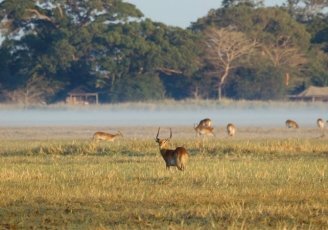 The camp lies in the heart of the game rich Busanaga Plains, a vast area of grassy seasonal floodplains that stretch to the horizon. Activities as arranged by Busanga Bush Camp. 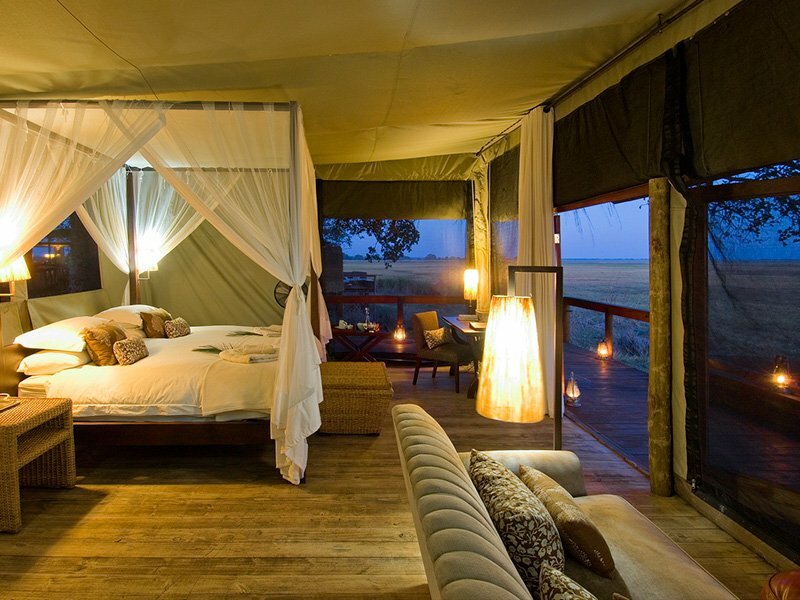 Lying on an island in the middle of the Busanga Plains, the camp offers day and night game drives, and seasonal boating. You could always take to the air for an early morning hot air balloon flight. Light aircraft transfer from Busanga Bush Camp to Shumba Camp for a two night stay. 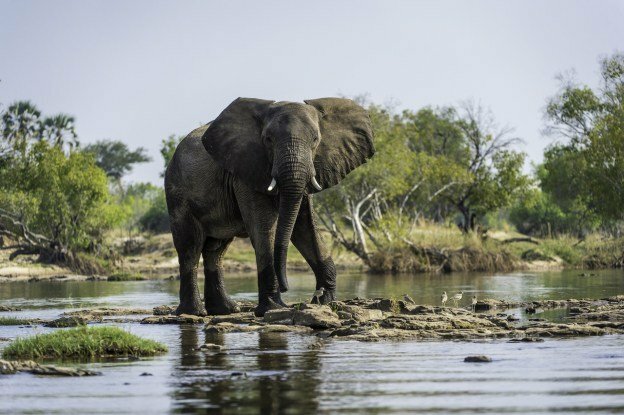 The mosaic of seasonally flooded plains leads to an excellent diversity of wildlife which can be enjoyed by day and night 4×4 safari game drives, by boat or by air in an early morning hot air balloon flight. Light aircraft transfer to Livingstone, where you will be met with a road transfer to Toka Leya Camp for a two night stay. 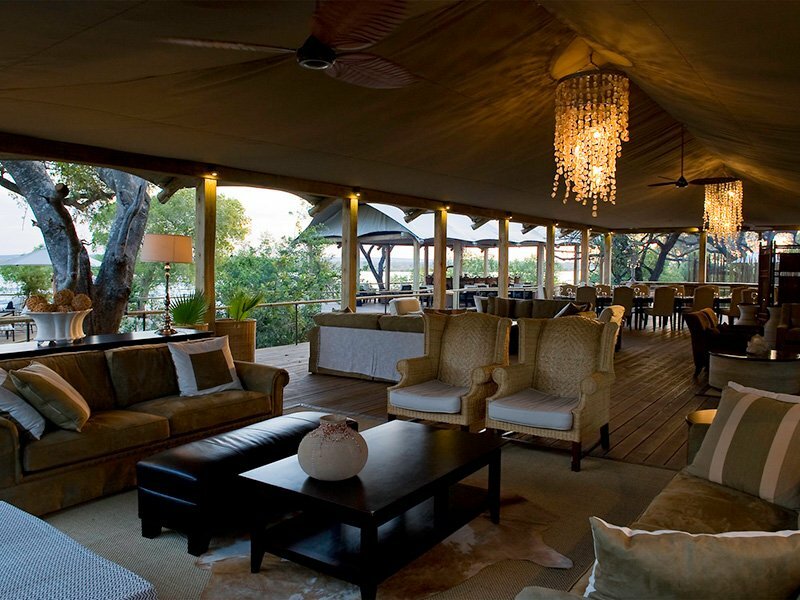 Toka Leya is situated in the Mosi-oa-Tunya National Park, on the banks of the Zambezi River, a short drive from Livingstone, where Victoria Falls is located. 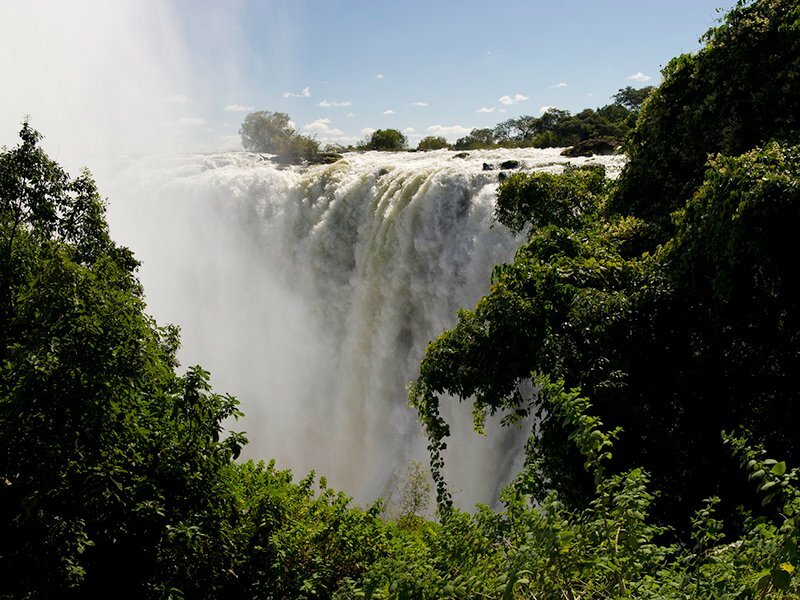 Located on the banks of the Zambezi and within Mosi-oa-Tunya National Park, Toka Leya offers an impressive array of activities including guided tours of the Falls, game drives and walks in the park and boat based activities. Plenty of choice for everyone. Road transfer back to Livingstone in time for your onward flight.